Return to Invoice GAP Insurance is also known as Back to Invoice GAP Insurance. What is Return to Invoice Plus GAP Insurance? If your vehicle is a total loss, due to an accident, theft, fire or flood damage, your motor insurer will only pay you the market value (second hand value) at the time. Due to vehicle depreciation this will be much less than you originally paid for your vehicle. If you have finance, it might not be enough to cover the amount you owe. ALA Return to Invoice GAP Insurance policy will pay the difference between the motor insurer’s settlement and the original vehicle invoice price, or the outstanding finance balance, whichever is higher at the time of the claim. 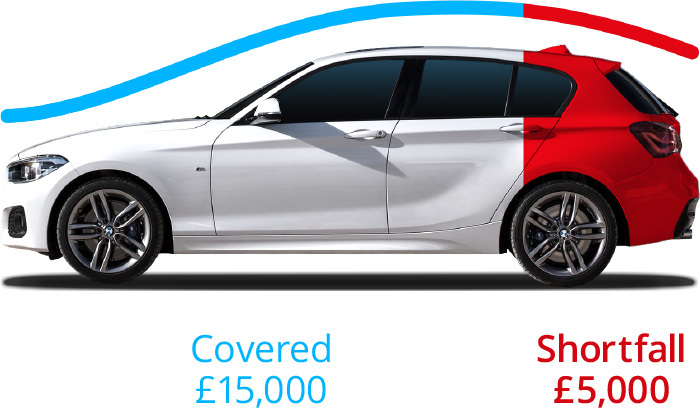 If your car is bought from a private seller we may be able to provide you with an Agreed Value GAP Insurance policy. Please contact one of the ALA team for more information. Do I need Return to Invoice Plus? Can I buy Return to Invoice Plus? How does this policy compare to Vehicle Replacement Plus? Protects from manufacturer price increases or discounts that are no longer available. I'm looking at a Return to Invoice quote. What does "Invoice price of vehicle including deposit" mean? What should I include in this? A Return to Invoice Plus quote is based on the price you're paying for the vehicle. For this reason, use the cost of the vehicle itself including manufacturer fitted extras and dealer fitted extras (as long as these are on the manufacturer price list and appear on the vehicle purchase invoice). Other add ons and on-the-road costs like extended warranty, paint/upholstery protection, road fund licence or fuel are not included as part of the price of the vehicle. I bought my vehicle from a private individual, can I still have GAP insurance? The Return to Invoice Plus policy is not suitable for cars purchased from a private seller. Instead we may be able to offer you an Agreed Value GAP quotation. Is there anything which shouldn't be included in the invoice price and so would not be covered by the ALA GAP policy? There are some things we are unable to cover which includes, but is not limited to: delivery cost, first registration fee, extended warranty charges, insurance products, administration fees, road fund licence and paint/upholstery protection.